Businesses and brands are all much more than just words and products – they’re also images and art. Graphic design is an integral part of any business and that is as true for your company’s image and your marketing. 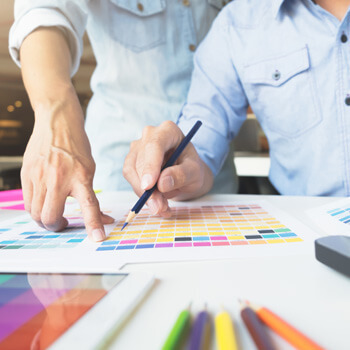 Colorful, high-resolution images and illustrative graphics can help potential buyers better understand your products and services and help them see – literally – the benefits they offer. Also be sure to check out our related services: Direct Mail, Logo Design & Branding and Presentation Design.